Allen Z. Hertz was senior adviser in the Privy Council Office serving Canada's Prime Minister and the federal cabinet. He formerly worked in Canada's Foreign Affairs Department and earlier taught history and law at universities in New York, Montreal, Toronto and Hong Kong. He studied European history and languages at McGill University (B. A.) and then East European and Ottoman history at Columbia University (M. A., Ph.D.). He also has international law degrees from Cambridge University (LL.B.) and the University of Toronto (LL.M.). This posting is an edited version of an article published on December 19, 2012 on the Op-Ed page of the Jerusalem Post. Now more than ever -- international law is akin to an ongoing discussion about rights in which every government and NGO has its lawyers, and every law professor and layman an opinion. And today, there is certainly lots of manufacturing of alleged new norms of public international law. For example, the "proportionality" doctrine is regularly distorted and willfully misrepresented. The doctrine of proportionality balances neither the number of dead and injured in Gaza against those in Israel nor the deeds of Hamas against those of the Israel government. Rather, international humanitarian law says there must be proportionality between what the Israel Defense Forces (IDF) actually do and what militarily would be reasonably required to prevent the firing of Hamas rockets at Israel civilians and soldiers. For example, if the IDF would be reasonably able to prevent the firing of those Hamas rockets via measures short of carpet bombing, the IDF are legally obliged to use those less drastic means likely to be kinder to civilians in Gaza. Sacrifice Israel civilians and soldiers? International law certainly does not require the Israel government to sit back and accept the firing of rockets at Israel civilians and soldiers, just because measures to prevent that firing would likely result in some collateral civilian injury and death in Gaza. And here the rationale is obvious. There are circumstances in which the Israel government has urgently to choose between some deaths: (A) in Israel of civilians and soldiers resulting from Hamas rockets; and (B) in Gaza of civilians and militants resulting from Israel preventive measures. In this context, the Israel government has to opt for (B) to prevent (A). Any other decision would irrationally privilege the lives of human beings in Gaza over those of civilians and soldiers in Israel. No rule of morality or law precludes a State from using force in self-defense, which is a fundamental principle of morality, natural law, and international law. The State has a moral and legal right to use force in self-defense, even though that recourse is likely to cause some collateral civilian injury and death. And never forget that, with respect to Gaza, the Israel government acted not by way of retaliation or punishment, but for prevention, i.e. 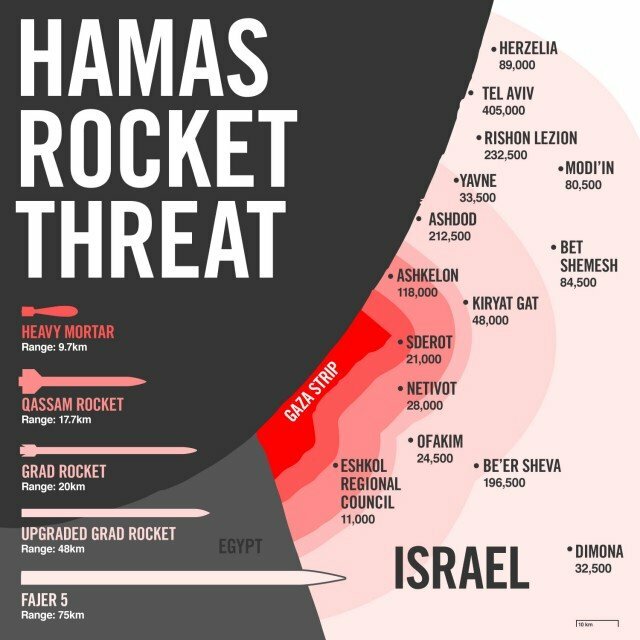 to stop Hamas from launching more rockets and thus to prevent further injury and death among Israel civilians and soldiers. Exactly in connection with the use of deadly force in self-defense, the ancient Rabbis argued that it is better for the wicked to die than for the innocent to perish. This makes a moral distinction between the attacker and his intended victim. 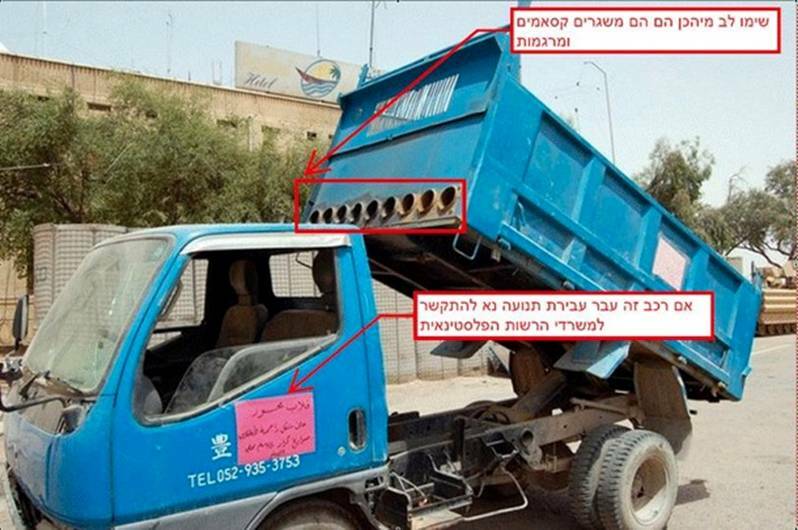 But in addition to culpability as attackers, Hamas militants were also reprehensible for storing and firing rockets in and at populated urban areas. They were thus deliberately targeting civilians and intentionally using force in a way that could reasonably be expected to cause significant civilian injury and death in both Israel and Gaza. Gaza garbage truck modified to fire Qassam rockets from urban areas. Even the civilian adult population of Gaza is arguably to some degree morally complicit in the aggression of Hamas, which some Western governments classify as a terrorist organization. The adults of Gaza strongly supported Hamas in the 2006 Palestinian elections. And after Hamas seized power in Gaza in 2007, public opinion polls indicated that the majority of adults there specifically endorsed the idea of targeting Israel civilians, which is a war crime. Okay to kill Israel civilians to decolonize? Nor can the Hamas war crime of intentionally targeting Israel civilians be justified by an alleged Palestinian right of "resistance," i.e. a supposed right to wage a war of national liberation against Israel. Even if we accept the false hypothesis of such a Palestinian right to wage a decolonization war, that right would not extend to the intentional targeting of Israel's civilian population, which would still remain a war crime. Turning from hypothesis to history -- Israel is not "colonial" in character. Precisely in this connection, see on this website, a detailed posting entitled "Aboriginal Rights of the Jewish People." Of all extant Peoples, the Jewish People has the strongest claim to be aboriginal to the land between the Jordan River and the Mediterranean Sea. There, some then self-identified Jews (Yehudim) have lived in each year since the birth of the specifically "Jewish" People before the 6th century BCE. Whether a thousand years ago or today, Jews returning to live with other Jews in the aboriginal homeland of the Jewish People are not like the 17th-century Pilgrim Fathers who went to build English "settlements" in America, where they had neither ancestors nor native kin. Hasmonean Judea Before the Common Era (BCE). No earlier than a half-century ago, a specific Arab population chose for the very first time to generally self-identify as the Palestinian People. This newborn Palestinian People now has claims to self-determination, territory and independence. But such claims now made in the name of the newly-minted Palestinian People do not automatically cancel prior rights of the age-old Jewish People. Rather, there is an urgent need to respect the honor and dignity of both Peoples. The moral and legal obligation is to peacefully effect something like a juridical reconciliation of Palestinian rights with the Jewish People's aboriginal, treaty and self-determination rights. Because the Jewish People's millennial presence in its aboriginal homeland is both moral and lawful, the newborn Palestinian People lacks a right to wage a decolonization war against the Jews. Exactly in this vein, the Israel Cabinet on December 2, 2012, insisted: "The Jewish People has a natural, historical and legal right to its homeland." I must disagree with a point you make. It is the adult *male* population that is guilty of electing Hamas - but, even so, they were offered little choice. Yes, it is all well & good for us in our safe homes in America/Europe to decry them for not choosing peace & throwing off the yoke of terrorist oppression - but they get killed for even speaking out over there! They can get killed just for NOT fully agreeing with everything their government says! They are really in between a rock & a hard place - even if it can be argued that it's a situation of their own making. Please note I am not trying to argue with anything else you've said - I just call for a little mitigation on this specific point. "Iron Chef Kosher!" Thanks for your insight. However, am I correct in saying that women did in fact vote in the 2006 Palestinian elections? I am told that 47% of registered voters were women.